Meisei, Adliya, Bahrain. Information, Photos and Reviews. 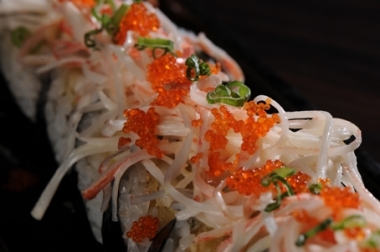 Meisei is Bahrain’s multi award-winning Japanese fusion venue, which has swiftly become famous for our rich contemporary menu, quality ingredients and vibrant atmosphere, all in the heart of bustling Adliya. 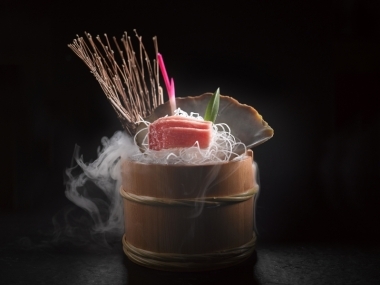 Meisei – pronounced Me-Say and meaning fame in Japanese - began from a love of a blend of cultures through food; a profound appreciation of culinary artistry at its finest and a desire to create a truly exceptional dining experience for the people of Bahrain to enjoy. Our diverse Japanese-Korean-Chinese fusion menu is prepared by Chef Michael Sang-Kyu Lee and his team of 40+, to create an exceptional dining experience, and is combined with other world cultures such as Italian, Canadian, French and Spanish to produce dishes that offer a never-before-seen interpretation of modern Japanese fusion food. 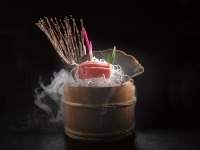 We regularly feature seasonal menus such as our current Nikkei creations, blending Japanese and Peruvian cuisines for a truly unique culinary experience. Meisei hosts visiting artists from the UK's vibrant music scene, and further afield, who perform on our panoramic rooftop, with guests enjoying views of the city while they while away the hours in Bahrain's most elegant dining and entertainment venue. Emmawash Traditional Restaurant - Hamala (7.9 miles) - Local Bahraini food in unique atmospher and distinguished customer service. Nobody has reviewed Meisei yet, Be the first. You are submitting a booking enquiry. Meisei will then contact you by email with details of availability and prices.